The necessity for transformer oil dehydration and degassing is known for a long time. Transformer oil is used in power equipment where it provides cooling and insulation protection. Over time aggregated moisture, gasses and solid particles can seriously affect these properties. To remove moisture, gasses, and solid particles oil treatment equipment needs to be used. Oil treatment equipment treats oil in the following steps. Oil is heated by electrical heaters with surface efficiency below 1.5 W/cm, with indirect heating to prevent local overheating. Oil at the outlet is filtered by a fine, up to, 0.5-micron filter to filter out solid particles before returning the oil back to the transformer. Equipment is fully automatic, optionally controlled by PLC logic and interfaced with a SCADA system. Numerous safety features are introduced throughout the plant to ensure the safety of the equipment as well as the operating personal. Aeration valves, overheating protection, and automatic level switches guarantee the safety of the equipment as well as its ability to identify a possible risk and to power down to prevent any accidents. 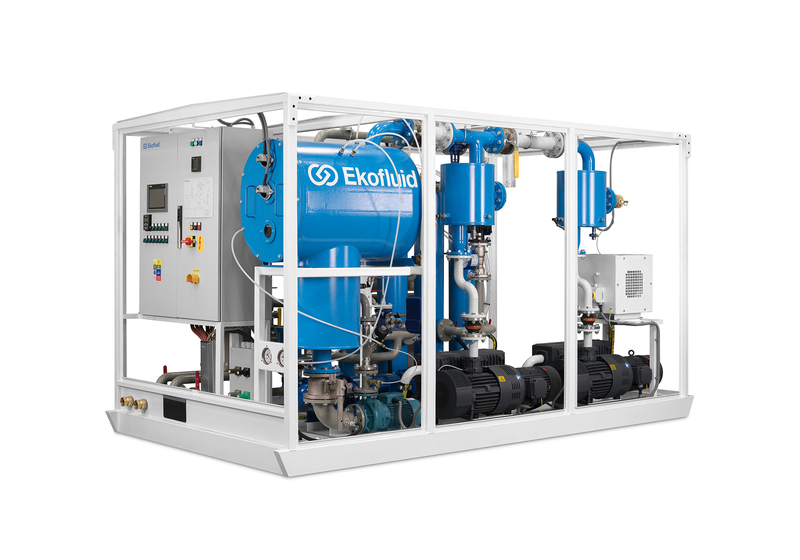 All oil treatment plants possess a positive displacement rotary inlet pump. The outlet pump is a centrifugal closed coupled high suction pump. 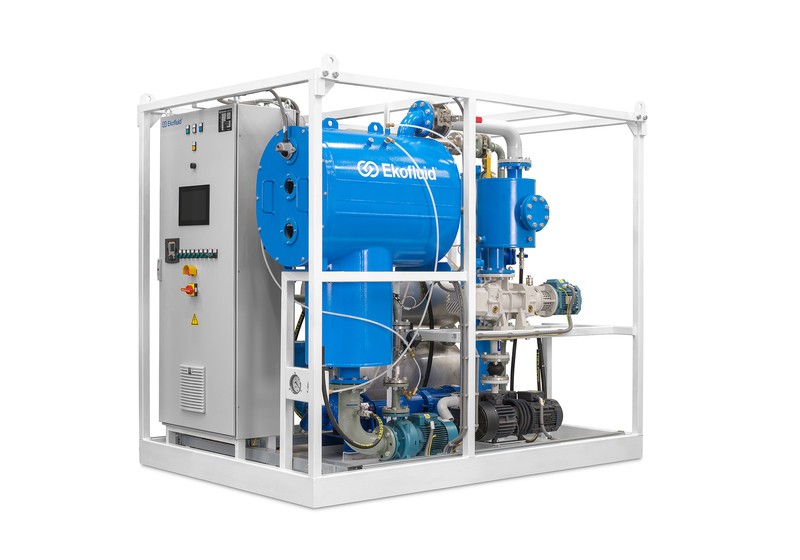 For dehydration and degassing the rotary vane, a vacuum pump and vacuum booster roots pump are used. Vacuum chamber houses a variable amount of coalescer filters to achieve most efficient treatment of oil. All oil treatment plants have automatic variable oil flow control to maximize user comfort during operation. Vacuum breaking valves before and after the vacuum chamber ensure the vacuum side and the pressure side of the oil treatment plant are completely separated. Fully automatic operation of the FILOIL units optionally controlled by PLC and operated via a SCADA system on the electrical cabinet. High vacuum double or single stage coalescer based dehydration and degasification section. Double or single stage vacuum system to ensure high vacuum in the vacuum chamber. Filter rated up to 0.5 microns prevents particles from entering back into the transformer. Oil catch pan to prevent accidental spillage, with automatic shutdown control. All electrical wiring across the FILOIL units conforms to the highest European standards and consists only of high-quality components to ensure the reliability of the unit. Variable flow rate of oil is an integral part of the FILOIL plant design allowing the users full flexibility during oil treatment. Optional touch panel for easy SCADA operation placed on the electrical cabinet. Bypass for the possibility to only use heating or filtering capabilities of the plant. 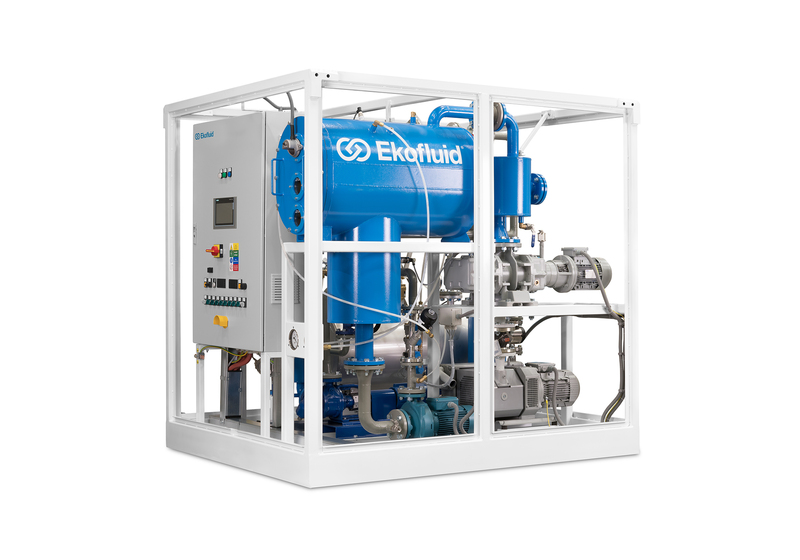 To get a better overview of our FILOIL 6 000 oil treatment plants download our technical datasheet here. Our top of the line model with great performance suited for large power transformers.